A speaker should never mention TIME when giving a presentation. I was coaching a group presentation the other day and (predictably) one of the presenters ran over their allotted time. While we know a presenter should NEVER (ever!) run over time, what about when a prior presenter does? The schedule is off. You were promised time for your spot, but now that time is reduced. This presenter did what I see so often, opening with, “Since we’re running a bit behind, I’ll try to speed through this a little to get us caught back up.” Of course, everyone in the room hopes this is the case. But I maintain a speaker should not mention time, except when he or she is done. It puts the focus of the listener on something other than the message. Since time is so precious, they are now more than ever aware that it is short. 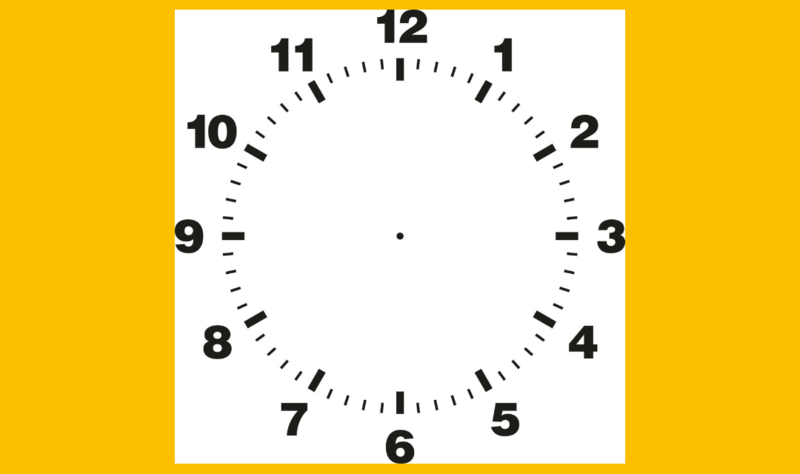 It puts the speaker “on the clock” – where the audience now expects the speaker to be on time because they are clearly aware of it. This increases the pressure on the speaker. It takes precious time away from what should be said! One of our instructors was presenting once and had this happen – he was slotted for a 25-minute talk at a conference, beginning at 11:30. Guess what follows a twenty-five-minute talk starting at 11:30? Lunch! The previous slate of presenters gave him the stage at 11:53. If he gave the full presentation he would be drowned out by rumbling tummies. What to do? Not mention time! Instead, he used the system we teach and use which finds the core message and creates detail modularly instead of linearly. Rather than creating a script which must be read start to finish, we create blocks of modular content that can each be expanded or contracted, as appropriate. He began, “There are two things you need to know about XYZ. And a third thing I want you to remember.” He gave a one-minute opener, gave the three points less than 90 seconds each, closed in less than a minute and finished at 11:59. Then he said, “The last thing I want you to remember, there’s a buffet in the hallway outside our room with hot food.” No one other than the conference organizers really even considered that he had anything other than a 6-minute speech planned. That’s about the perfect way to handle that situation. His lunch was overrun with people grateful to not lose their lunchtime. Take a clock with you that you can see. Find a way to present content within your allotted time. But don’t talk about it publicly. It’s a fact that only the presenter needs to know. Communication matters, what are YOU saying? This article was published in the September Edition of our monthly speaking tips email newsletter, Communication Matters. 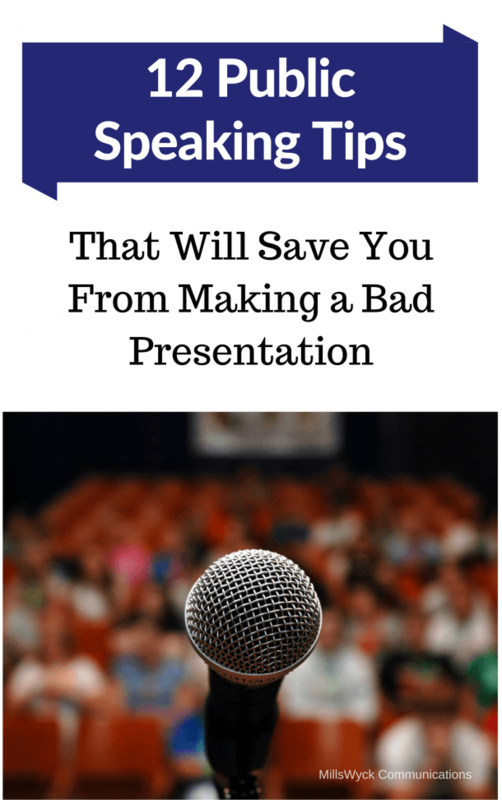 Have speaking tips like these delivered straight to your inbox every month. Sign up today to receive our newsletter and receive our FREE eBook, “Twelve Tips that will Save You from Making a Bad Presentation.” You can unsubscribe at any time.